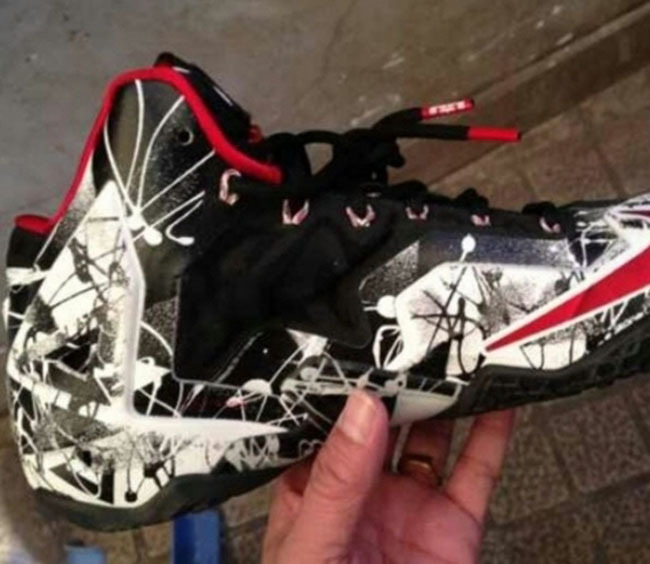 A new colorway of the LeBron 11 appears to have brought the graffiti concept back to the line. 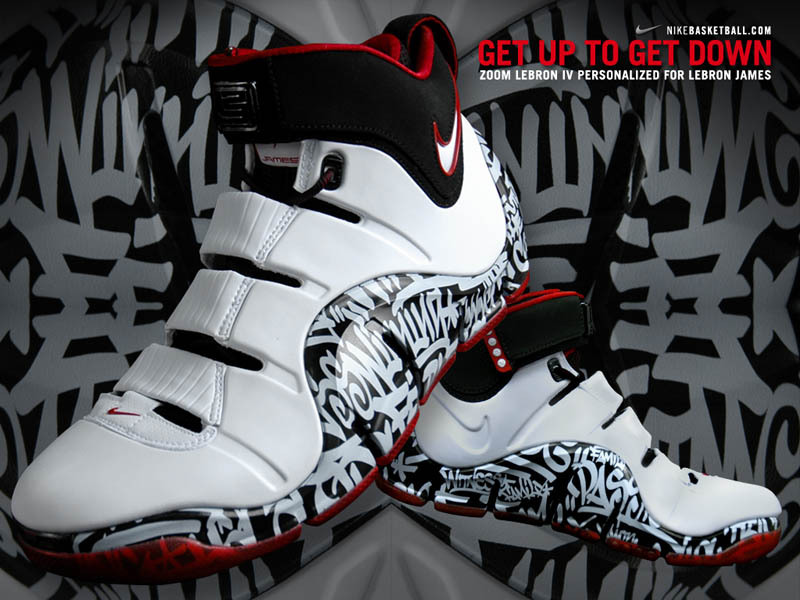 The last time the LeBron line included a Posite-based model, it featured a black and white graffiti colorway of the Zoom LeBron IV. 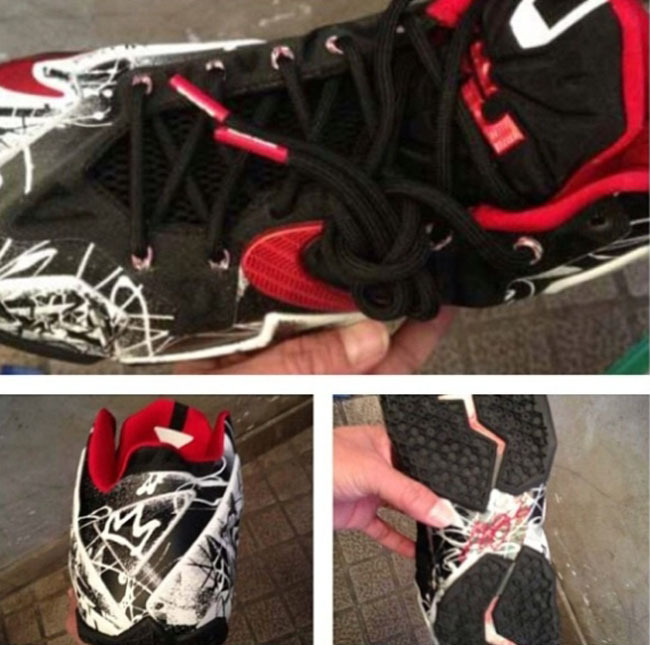 And it appears that is the case once again, with the LeBron 11. This version features a white and black upper, covered in a graffiti-styl print, along with red trim. Check out the original graffiti LeBron below, and let us know how you think this version compares. There's no word yet on if or when this will release, so check back for details as they become available.